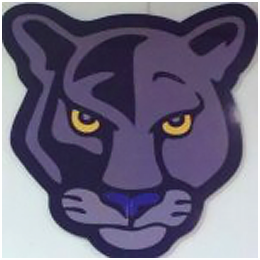 Panther Spring Track and Field is open to all students in Grades Kindergarten to 8. Our students train for short (100m and 200m sprints), middle (400m) and long distance (800m and 1600m) events as well as the long jump, shot-put and turbo javelin. We also train and compete in relays with teams of 4 runners running a variety of distances per relay. We are fortunate to have our own long jump pit on our school grounds and a running path by the tennis courts that we use during practices which are held weekly starting in late March. We usually compete in at least 4 invitational meets and upwards of 15 to 20 Catholic elementary schools participate in the day-long meets. The competitions are held on weekends in April and May. Our athletes in Grades Kindergarten to Grade 2 compete in short distance sprints to give them some experience in a competitive atmosphere where everyone is a winner. Grades 3 to 8 compete by grade and gender for the top 3 medals in each event. The team is managed by Mr. Gargiulo and Mrs. Raleigh. For schedules, directions and team info, click here.